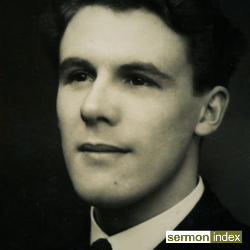 A revivalist and man of God who sought God's will above all else. He was a man of prayer who practiced what he preached. He wrote the book: 'Why Revival Tarries' which has become a classic on revival. His prophetic edge and burden made him be respected by some and disliked by others. Yet he stayed true to God's call on his life prayed and pleading for true heaven sent revival. Listen and subscribe now to the best Christian podcasts today from podcasters just like Leonard Ravenhill. These popular Christian podcasts are available to listen to and download for free on Faithplay. Faithplay is filled with more episodes from Leonard Ravenhill and other top Christian podcasts. Download Faithplay today and start listening!